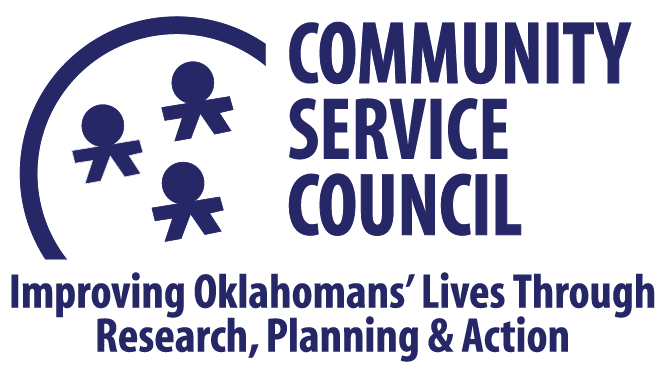 In 2006, the Community Service Council became one of 52 community, regional and national organizations to be designated a Census Information Center (CIC).The CIC program is a partnership between the U.S. Census Bureau and select non-profit national and community-based organizations including: national non-governmental organizations, minority colleges and universities, research groups and think tanks, minority chambers of commerce, civil rights and social justice organizations, organizations serving children and rural populations, and one Tribal Government. The goal of the CIC Program is to provide local access, education, and technical assistance on census data for planning and decision-making by underserved communities. Our mission is to provide access and dissemination of Census Bureau and related data to underserved communities to help diverse communities achieve their goals. Now a decade later, CSC remains home to the Census Information Center of Eastern Oklahoma, which disseminates census and related data to underserved communities by providing demographic and socioeconomic data trend reports, responding to data requests, and offering trainings on accessing, using and interpreting census data. Our data services are used for research, planning and informed decision-making. In addition to our digital data products, we also have a collection of printed data publications produced by the US Census Bureau, Oklahoma Department of Education, Oklahoma Department of Health, Tulsa Public Schools, and others that are available for use by the public in our data library located within the CSC main office. Email Melanie Poulter to schedule visit to our library.